Posted in: 1 Pageant Pages, 2 Shout-out-Looks. 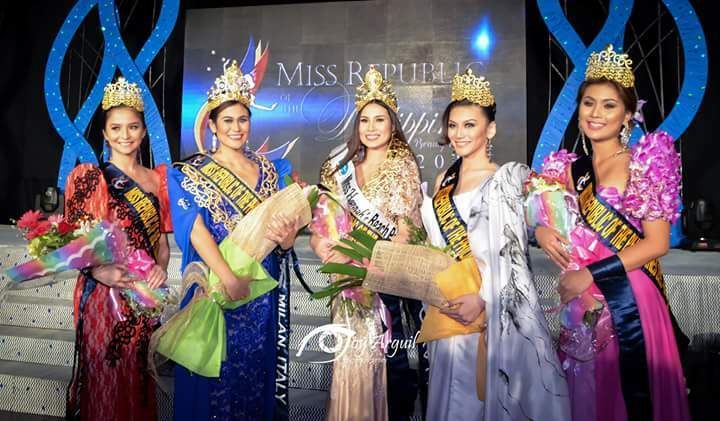 Tagged: Miss Bicolandia 2017, Miss Republic of the Philippines 2015, R-L's Angels, Sigrid Grace Flores. You first saw her as candidate of Miss Republic of the Philippines 2015. And then, she kept a low profile afterwards before returning to the pageant limelight as a candidate of Miss Bicolandia 2017 where she placed 4th Runner-Up. This year, Sigrid Grace Flores will start 2018 filled with hopes of becoming one of the Binibinis of Bb. Pilipinas 2018. She is ready for the challenge. And the RL’s Angels camp has prepared her for the screenings and all. Fingers crossed that Sigrid will make it! Posted in: 1 Pageant Pages, 2 Shout-out-Looks. Tagged: Bb. Pilipinas 2017, Kristie Rose Cequeña, Miss Republic of the Philippines 2015. I have known Kristie Rose “Istie” Cequeña ever since her Miss Republic of the Philippines 2015 days where she finished in the magic circle and was named Miss Mindanao. She has this go-getter attitude. If she knows that she can suit up to a challenge, sky is the limit to what she can achieve. And so, I was no longer surprised when she screened for and got one of the forty (40) Official Candidates’ spots in the process. 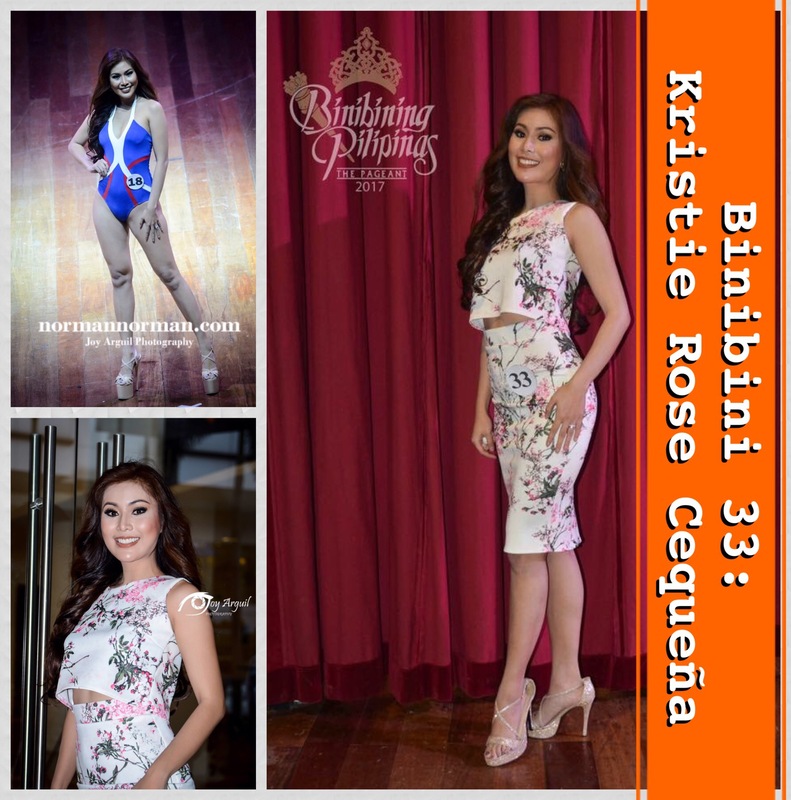 She is now your Binibini 33 in Bb. Pilipinas 2017. “During my formative years, I was boyish. I ventured into sports early on which led my way to NCAA and WNCAA stints as a volleyball player for San Beda-Alabang. But I have also always imagined of myself becoming a beauty queen. I have joined pageants which honed me, developed my confidence and patience. In both fields, every setback made me challenge myself even more. I am always competing with the most recent version of me. Good luck in Bb. Pilipinas 2017, Istie! Who knows what fate lies ahead for Istie in Bb. Pilipinas 2017? I can only cheer her on and support in the journey. I know that she will give her absolute best every step of the way. PS. 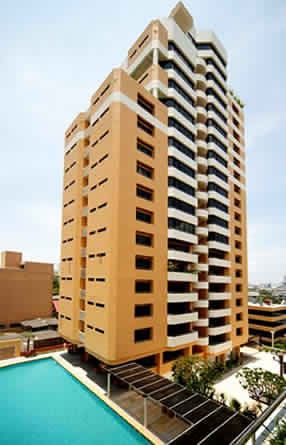 Istie is an independent going into the competition. 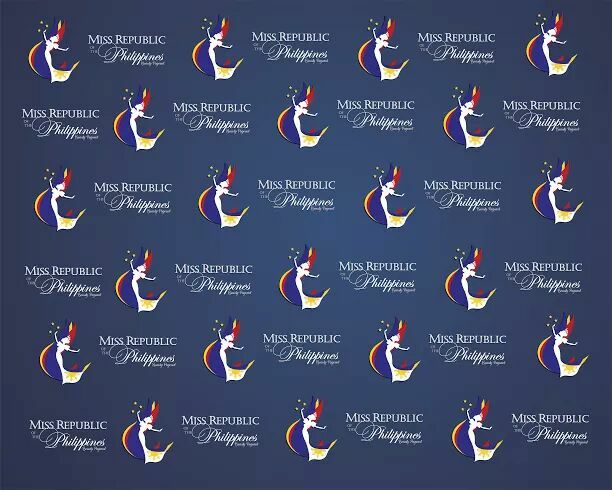 Who will be crowned winners of Miss Republic of the Philippines 2015? Posted in: 1 Pageant Pages, 2 Shout-out-Looks. 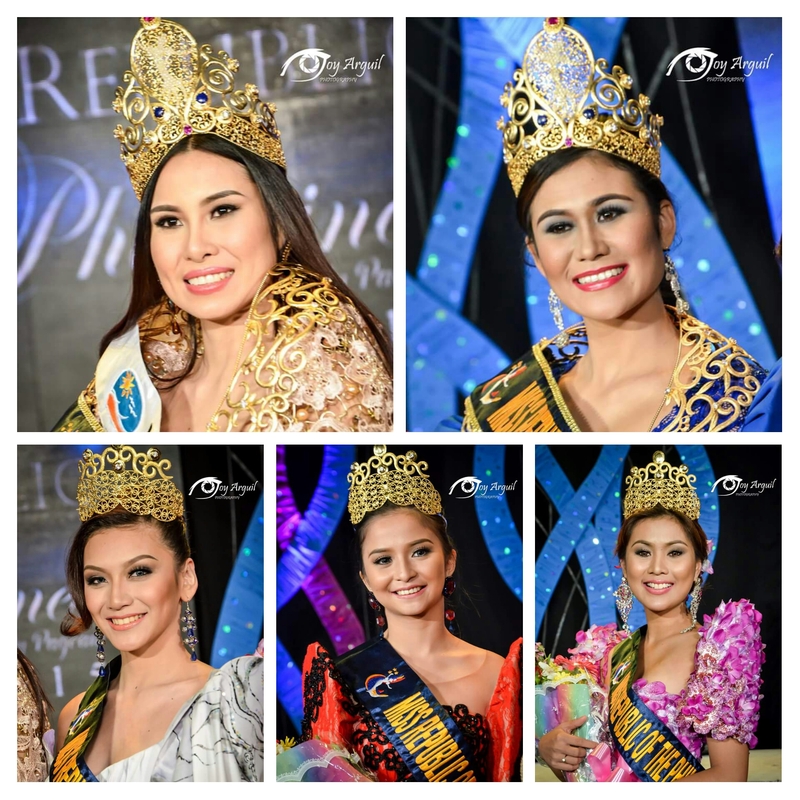 Tagged: Cristelle Tolentino, Fermira Dianne Ramos, Joselle Mariano, Kristie Rose Cequeña, Lynette Padolina, Miss Republic of the Philippines 2015, Natalie McDiarmid, Pollyheart Calvero. Initially, I had my doubts on whether Miss Republic of the Philippines can pull it off. But with constant determination and commitment from CEO and Pageant Owner Lynette Padolina, the contest is now on its finals with the Coronation Night scheduled at The Theater of Solaire later. 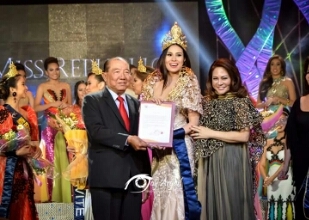 From among the thirty-five Official Candidates, two (2) will be crowned as the big winners – Miss Republic of the Philippines 2015 (from among the local beauties) and Miss Republic of the Philippines International 2015 (from among the delegates who came from abroad) – with three (3) special titles of Miss Luzon, Miss Visayas and Miss Mindanao. The plan was for a Top 12 to be named to the Semifinals. But after reviewing the contenders and knowing them personally, I need to make it a Top 15 to recognize the efforts of all potential qualifiers who can fill up the four (4) pillars of importance: beauty, personality, attitude and communication skills. My Top 15 (see photo grid above) are in order of their pin numbers: Stephanie Slattery of Victoria, Cristelle Tolentino of Pasig City, Pollyheart Calvero of Alcala Pangasinan, Alexia Sonia Edmund of UK, Digna Diaz of Nueva Ecija, Christie Rose Cequeña of Sta. 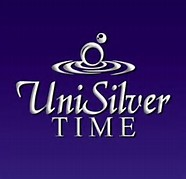 Rosa, Krisnah Catague of Antique, Natalie Mcdiarmid of Melbourne, Beatrice Valente of Milan Italy, Fermira Dianne Ramos of Zambales, Joselle Mariano of Cavite, Sheila Marie Reyes of Valenzuela City, Krizzia Lyn Moreno of Camarines Sur, Christine Joy Madamba of Bacolod and Randea Anne Cabalfin of South Cotabato. From these fifteen ladies, I thought of going straight to my Top 5. Why? Because there are two major titles and one of them will come from the foreign entries. And since there are only four (4) in my Top 15 for that 2nd crown, why not just zero in on the person who might be the best fit for the spot. At any rate, I added an extra girl just to sweeten up the mix a little bit and be a potential spoiler. My Top 6 for Miss Republic of the Philippines 2015. One of them is a spoiler who could take the place of one of those likely to make up the magic circle. 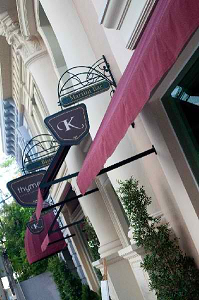 Hence, my Top 6 are (in random order): Kristie Rose Cequeña of Sta. Rosa, Joselle Mariano of Cavite, Cristelle Tolentino of Pasig City, Natalie Mcdiarmid of Melbourne, Fermira Dianne Ramos of Zambales and Pollyheart Calvero of Alcala, Pangasinan. Obviously, Natalie Mcdiarmid of Melbourne is my pick for Miss Republic of the Philippines International 2015. But from among the rest, it could still be anyone’s ballgame. Joselle Mariano, Cristelle Tolentino and Kristie Rose Cequeña are still in it to win it. And one of them could take the other throne. Posted in: 1 Pageant Pages, 2 Shout-out-Looks. 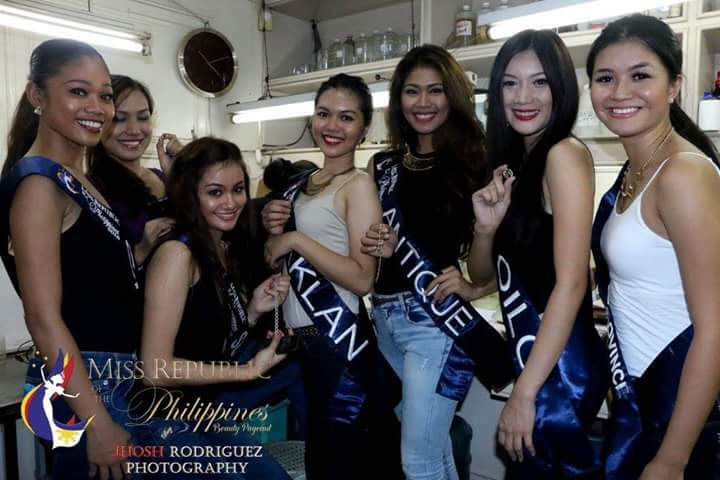 Tagged: Kitsilver Jeweller, Lynette Padolina, Mila Imson, Miss Republic of the Philippines 2015. Today, November 2, is the schedule of the dreaded closed-door preliminary interviews of the Miss Republic of the Philippines 2015 Official Candidates. This activity will complete the scores that will determine the names of the twelve (12) girls who will make up the Semifinals come November 4. It’s make-or-break time. By now, some of them may have already surged ahead during the Swimsuit and Evening Gown Competitions. So it’s just a matter of staying consistent. But knowing CEO and Pageant Owner Lynette Padolina, she puts a premium on communication and reasoning skills so there is still hope for those who are articulate and expressive but middling in the accumulated tallies so far. In the meantime, here are their pictures during the visit to the manufacturing base of Kitsilver Jeweller in Meycauayan, Bulacan where they learned how to make fine jewelries and appreciate the value of each piece. Ms. Mila Imson, who made the crown jewels of the beauty pageant, was most welcoming when she hosted the candidates.